It may be ageing and bettered by the S3 - but rest assured, with ICS the Samsung Galaxy S2 still a stunning phone. Update: We've updated our review to reflect the software update on the Samsung Galaxy S2 to Android 4.0, Ice Cream Sandwich - and to include the changes found in the recent 4.0.4 update as well. The Samsung Galaxy S2 - or Samsung Galaxy S II, as it's also known - is the phone the Korean firm deems the successor to its best smartphone so far. And with a dual-core 1.2GHz processor, super-slim chassis and feather-light innards, it's easy to see why. 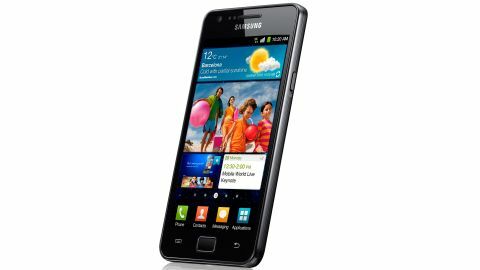 The dual-core smartphone race is packed, with Samsung's own Galaxy Ace 2, the Huawei Ascend P1, Sony Xperia Go, iPhone 4S and many more handsets all boasting the fast processors, although bigger brother the Samsung Galaxy S3, LG Optimus 4X HD and a growing number of others run with quad-core CPUs. Coming in at around £18 a month and £390-odd ($529) SIM-free, the Samsung Galaxy S2 has dropped in price since its launch and is now an attractively affordable high-end smartphone.